MUMBAI – MAHARASHTRA – INDIA JANUARY 31 , 2012 01.25 A.M.
January 30 , 2012 just ended . 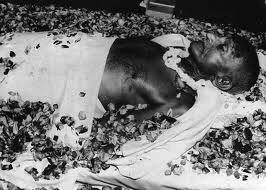 On this very day , 64 years ago , Mahatma Gandhi was assassinated by Nathuram Godse . It was January 30 , 1948 . No murder can be justified . violence has no place in today’s civil society . And Mahatma Gandhi is considered the apostle of peace and non – violence . It is irony that this apostle of non – violence was violently assassinated . I am not writing this blog to express my condemnation of this gruesome murder . No one can justify it . 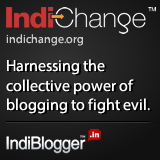 This blog is to refute the accusation that some Hindu organizations like Hindu Mahasabha and Rashtriya Swayamsevak Sangh [ R. S. S. ] were behind this murder . 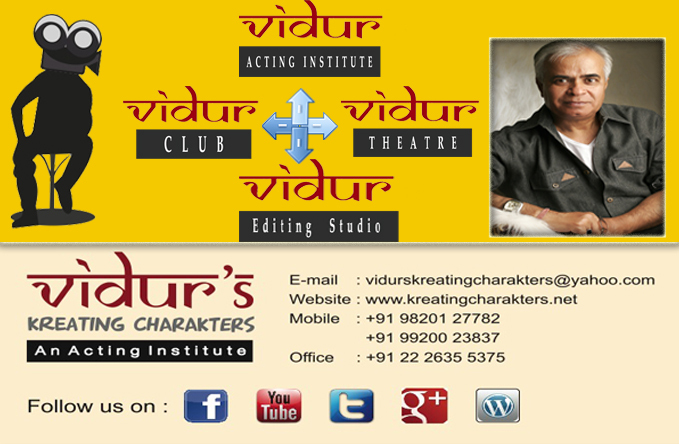 Congress , The Indian national Congress has a well oiled dirty trick propaganda machinery . They started their rule in 1947 with immense goodwill . But an astute politician Jawahar Lal Nehru knew that this goodwill is not going to last till eternity . So they wanted to eliminate all possible opposition . 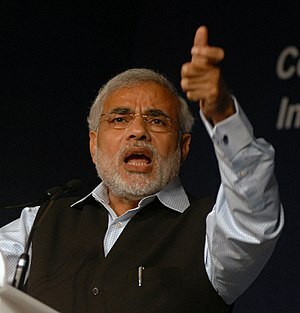 Nehru was particularly wary of Hindu Nationalist movement and its leaders . So in Mahatma Gandhi’s assassination , he found a perfect opportunity to defame and denigrate Hindu Nationalist leaders. 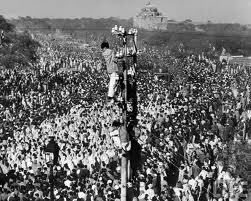 Public adulation for Mahatma Gandhi was at its peak . 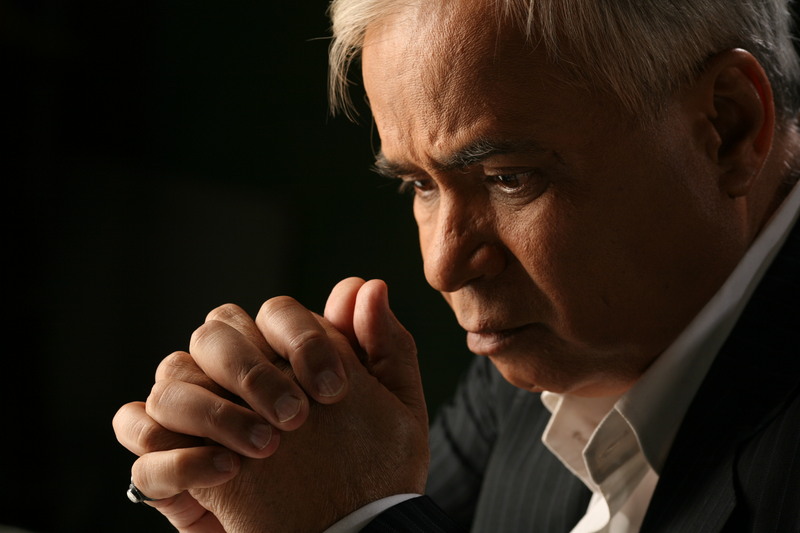 After his assassination sympathy was all – pervading and public outcry was unprecedented . To utilize this public outcry and make maximum use of public anger , the dirty trick machinery of Congress , The Indian National Congress was activated . 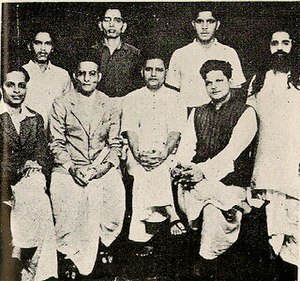 Congress blamed R. S. S. for the murder and several respected Hindu leaders were implicated in the Gandhi Murder Case . All the accused were put to trial . 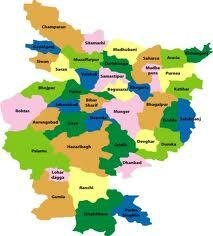 Case was filed in the court on May 27 , 1948 and reached to its logical end on November 08 , 1949 . 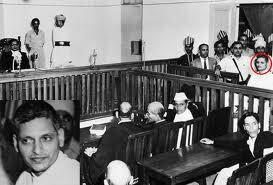 Nathuram Godse was sentenced to death . 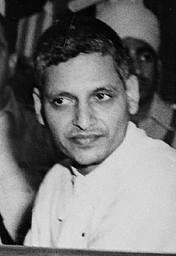 After a week Godse , along with Narayan Apte , a co – conspirator , was hanged at Ambala Jail on November 15 , 1949 . It should have been the logical conclusion of this infamous case . 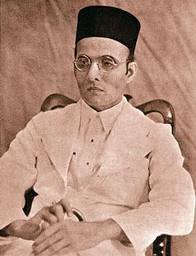 Veer Savarkar , who was also charged with the conspiracy , was acquitted and subsequently released from prison . 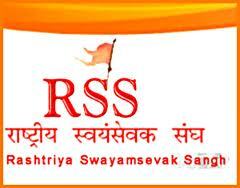 Rashtriya Swayamsevak sangh [ R.S.S. ] 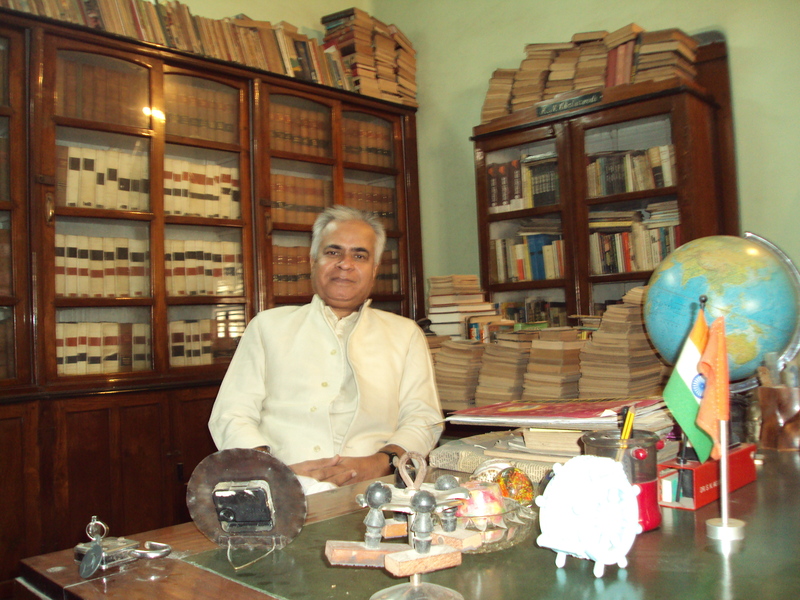 , which was banned by Congress , The Indian national Congress , was found not guilty by the Commission of Inquiry . Ban was subsequently lifted in 1949 . For any law – abiding organization the case should have been ended here . But Congress leaders of the day knew that they have a good stick to beat Hindu leaders , particularly the R. S. S. Therefore they continued the tirade . They accused that Godse was a homosexual and propagated this theory and they further made insinuation that he was a swayamsevak of R. S. S.
Nathuram Godse left R. S. S. in the 30s . It was 20 years before he assassinated Mahatma Gandhi . Even if we accept that he was a member , should all his actions be attributed to the organization ? Present day General Secretary of Congress , The Indian National Congress , Digvijaya Singh a.k.a. Diggi Raja says something about Batala Encounter case and The Congress says that it is his personal view . He keeps on burping his personal views on every matter under the Sun , which are contrary to the official views of Congress , though he is the office bearer . If Diggi Raja is entitled to his personal views and actions and Congress , The Indian National Congress is not responsible for his controversial personal ( ? ) views , how could R.S.S. be responsible for the controversial action of a person , who left the organisation 20 years prior to the assassination ? But no , Congress knows that it is a suitable stick to beat the opposition . In para 27 of his statement in the court , Godse mentioned names of Dadabhai Naoroji , Swami Vivekanand , Gopal Krishna Gokhale and Bal gangadhar Tilak as his idols . In the same para he stated that he was very much inspired by the ancient and modern histories of India , England , France , U.S.A. and Russia . He proclaimed that he adheres to the tenets of Socialism and Marxism . 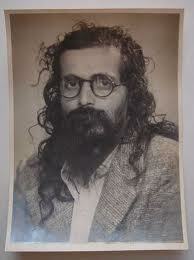 Not only Hinduism but Socialism and Marxism were also his tenets of political belief . May I ask why Congress never highlights this fact ? Why Communists are not held responsible for Godse’s actions ? 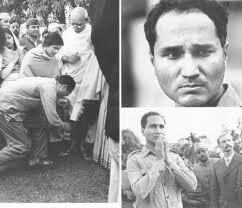 A play called ” Me Nathuram Godse Boltoy ” also amplifies his views . But not giving publicity to the expressed and clear views of Godse , Congress , The Indian National Congress still harps on the false propaganda that Hindu organizations and R.S.S. killed Mahatma Gandhi . In my opinion they fear the might of R.S.S. and hence the dirty trick machinery of Congress , The Indian National Congress still shamelessly propagates the falsehood . I wrote this blog to express my respect for Mahatma Gandhi and make my point clear on some facts and some fictions of his assassination . I wanted to make it clear that Congress , The Indian National Congress exploits even Mahatma Gandhi’s assassination for its benefit .